YouTube star Chris Sails has found himself in a world of trouble. 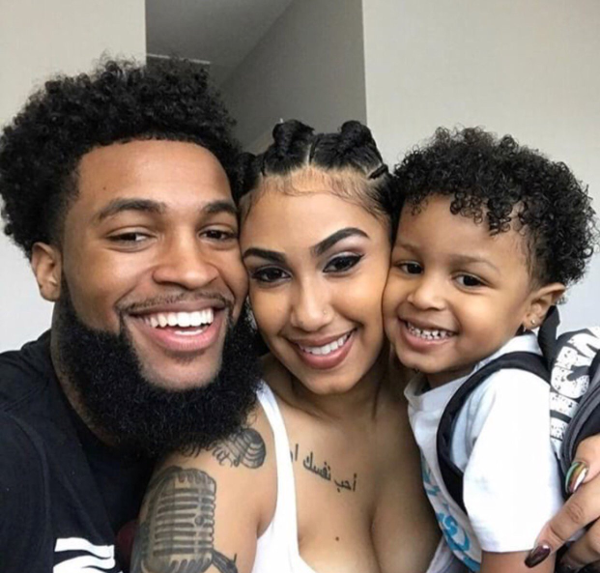 The famous YouTuber - who is the ex-husband of YouTuber/singer Queen Naija - has reportedly been released from jail again after posting a $40,000 bail. He was thrown BACK in jail after his bond was revoked. This is the 2nd time he has been released from jail this week. Bruh. So, why is he in and out of lock up? He allegedly assaulted his ex-girlfriend/"My Wife & Kids" star Parker McKenna that left bruises on her face. Pictures of her injuries leaked last month. He also allegedly impersonated a police officer during the altercation. Sails was originally arrested on October 25 for assaulting his ex-girlfriend, actress Parker McKenna, over an incident that went down in September in Houston. He was released on Saturday and denied the allegations of assault. Sails was ordered to appear in court on Monday morning where a judge remanded him back into custody because his bond was revoked in a separate pending criminal case over allegations he impersonated a police officer. In the criminal docs relating to the assault arrest, Chris Sails was accused of third-degree felony assault by police after they responded to a call at the apartment the ex-couple shared. Police noted that Posey told them Sails became enraged when he noticed a message from another man on her Instagram. Sails is scheduled to be back in court in December. Sheesh! It may or may not be a Merry Christmas for him. 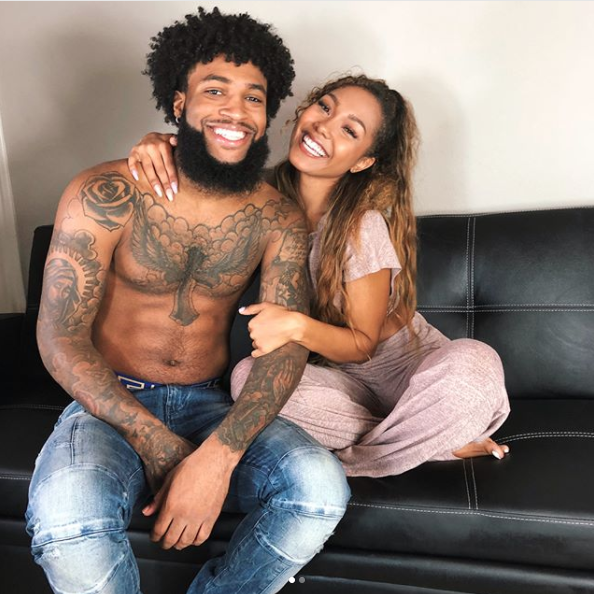 Chris and Parker began dating after he divorced the now pregnant Queen Naija (above) in April 2018 following a very public cheating scandal. They have one son together. Earlier this month, rumors were swirling that Emily B's daughter/Fabolous' step-daughter Taina Williams was rapper G Herbo's "side chick." The Chicago rapper was caught on FaceTime with Taina right around the time his son's mother Ariana Fletcher went on social media to announce she and Herbo were done done. Taina hasn't addressed their "situationship," but we hear G Herbo was denying it to no end. Yet and still, it seems some type of romance could be blossoming. Herbo and a chick who looks VERY much like Taina were spotted in the studio together this week and they appear to be more than friends. In the clip above, Herbo is seen rubbing on Taina's leg as she scrolls on her cellphone. Peep the clip above.